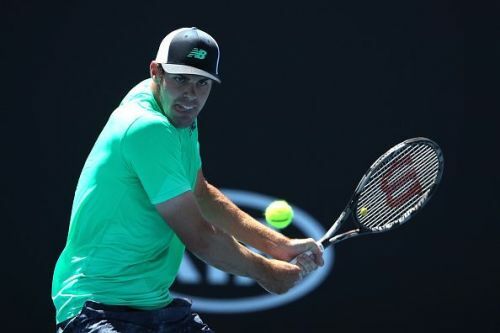 In an all-American first round encounter at the Delray Beach Open, a confident Reilley Opelka will meet the experienced late bloomer Tennys Sandgren. The 21-year-old Opelka is coming off his first ATP title, at the New York Open last week. The tallest ATP player is playing the best tennis of his yet nascent career. He had done well at the year’s first Grand Slam too, getting the better of his fellow big-server John Isner in Melbourne. To prove that it was not a one-off, he did the same to Isner at the New York Open. En route to his first ATP title, he also got the better of more established players like Adrien Mannarino and Guillermo Garcia-Lopez, before getting past the Canadian Brayden Schnur in the final. Opelka's game is based on the speed and accuracy of his serve. Like other tall and big serving players like Isner and Ivo Karlovic, he too is not very swift when it comes to moving along the baseline. But unlike the two mentioned here, Opelka's young legs ensure that he does a decent job of covering the court. His opponent in the first round will be a fellow American who had played much of his tennis in relative obscurity at the Challenger level before suddenly coming out of nowhere and reaching the 2018 Australian Open quarterfinal. Life has never been the same for Sandgren since. Thanks to that one stupendous breakthrough, he managed to get his ranking high enough to ensure his participation in most tier-1 tournaments. Though he was unable to rekindle that kind of magic on the tennis court last year, he did just enough to remain competitive and hold on to a decent ranking. The current season has begun well for the 27-year-old. Like Opelka, Sandgren too has won his first ATP title this year. That happened at the Auckland Open in January where he got the better of many top players including Philipp Kohlschreiber, Leonardo Mayer and Marco Cecchinato. 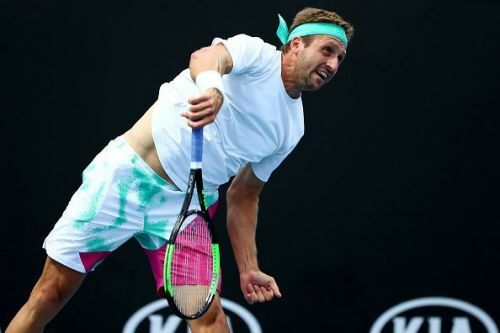 Though Sandgren failed to repeat his 2018 heroics at the Australian Open this year, he comes into the Delray Beach tournament with some good form. He does not have the big serve of Opelka, but his court coverage is certainly better. Though Opelka is high on confidence, the experienced Sandgren has the game to pose a serious challenge to the new star on the American tennis horizon. Prediction: Reilly Opelka to win in 3 sets.